Compli-News teams up with Juta to provide enhanced online research portal and newsletter. 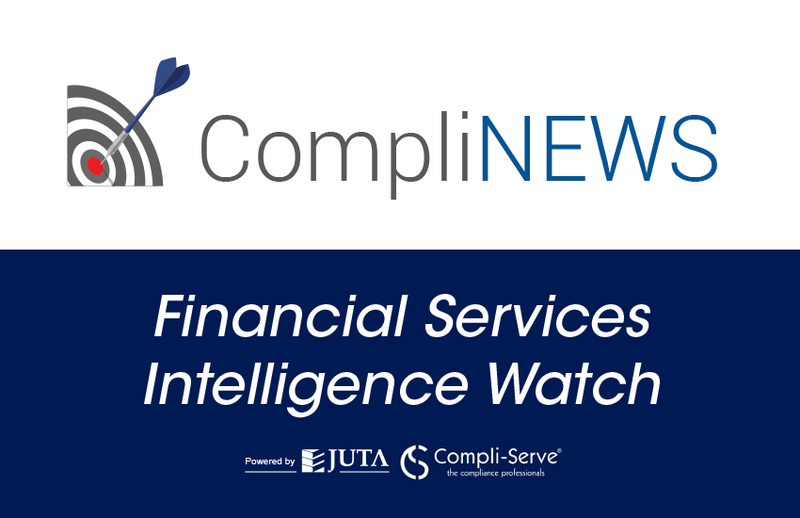 Financial services compliance consultancy Compli-Serve SA, in collaboration with Juta and Company, is pleased to announce that it has launched a new, enhanced CompliNEWS online research and news portal and weekly electronic newsletter. Together, Juta and Compli-Serve will combine their unique expertise, knowledge and experience to deliver up-to-the minute and authoritative content, legislation and commentary on news that matters to the financial services industry, and compliance officers in particular. “As an established provider of authoritative regulatory and research information for the South African legal market, Juta Law is proud to partner with the Compli-Serve team in this venture. The combined insights and expertise of our respective businesses will deliver up-to-date, reliable financial compliance content essential to professionals in this sector,” says Andre van Niekerk, Executive Director at Juta Law. CompliNEWS is a weekly online newsletter and news and research portal, bringing you the latest legislative and regulatory news and commentary applicable to the financial services sector. Subscribers will receive breaking regulatory and compliance news through their own, customisable online news portal, and a weekly current awareness newsletter to stay up-to-date with the latest developments. This will include relevant case law and commentary from a well-respected legal specialist. The online portal, available at www.jutacomplinews.co.za, will provide readers with the key points at a glance or allow them to drill deeper with carefully curated commentary, a pre-selected library of continually updated Juta legislation, and a newsletter archive of all CompliNEWS editions from 2015 to date. Subscribers will also receive an invaluable monthly ethics newsletter, CompliETHICS. • Local and international financial services news. In recognition of the relevance and value offered by CompliNEWS, subscribers will receive verifiable CPD hours for subscribing, the details of which will follow.